Nowadays, books have turned into a different form which is known as the ebook. 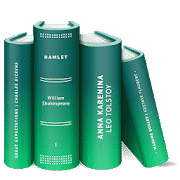 Easy availability of books through the internet and reading them with a reader which is easily manageable on the phone, has increased the importance of ebook. The capability of managing ebooks and storing a massive amount of them by ebook reader was welcomed by all readers who like to read books on mobile. There are a considerable number of ebook readers available on the play store. Today I shall discuss top 10 best ebook readers for Android. 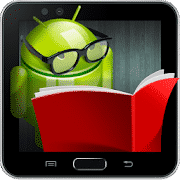 In this article, I shall highlight top 10 best ebook readers for android which will help you in finding your desired ebook reader. For reading books, you need flexibilities on many issues which make your reading fruitful and exciting. I hope, this article will help you in selecting the best ebook readers for Android so that you can make your reading an interesting and fruitful one. This ebook reader comes with multi-format text supporting many languages. It is also an audiobook reading app. This reader is applicable for both children and adults with a massive collection in the in-app store library. If you are even not in a mode to read but to listen, then you can switch to audio option, and the app will read the book for you. The kids will get a massive advantage by listening to bedtime stories. It supports many formats like epub, html, fb2, zip, txt, pdf, mobi, epub3, djvu and many other formats including audiobook formats. It has over 25 languages for an intuitive interface. There are over 50K textbooks along with functional audio format in it. Navigation is simple including night mode. Books collections can be organized as per genre, author or any customized way. There are multiple fonts of different sizes and styles for making reading comfortable. It downloads free books and allows to buy new books from in-app earned book store with purchase vouchers. It keeps the downloaded books in the Prestigio Cloud and synchronizes books between devices library. This is an excellent PDF or EPUB reader who is highly customizable Android-optimized app. It supports a lot of varieties of formats. The app has a unique way to organize your books for making your reading comfortable and relaxed. You may select different settings for different books, but the app will allow you to tailor all of those to create a single best comfortable customization for all documents. There are many more about the app. It supports many formats like PDF, DjVu, XPS, FictionBook, CBR, and cbz. You can get all the recent books and view them like Bookshelf. You can easily find your desired book by Search Option and good File Navigation system. It will allow you to find any text or line from the document or book. You can read full-screen mode, and change pages with a finger tap on the screen. There are light and black themes so that you can adjust for a comfortable view. It provides nighttime view besides the day or standard view. This is a great free app for ebook reading which contains no ads and supports almost all formats. One of the essential features is, it automatically saves your current reading position and automatically detects and display the list of all documents which are supported by your device. 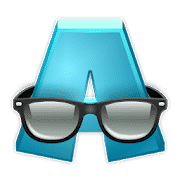 This ebook reader has made a universal shape by keeping all primary and essential features without compelling users to use any specific services. The app is free and contains no ads. It supports almost all the formats. The app is fast and convenient which provides almost all essential features. It protects your files by not uploading them to any stores. It remembers your last reading position and allows you to get the same when you read next time. The practical settings will confirm your comfortable reading. The excellent organizing system will help you to keep your books properly. It can open from the ZIP archive. The app is straightforward to navigate and a dynamic improving app. 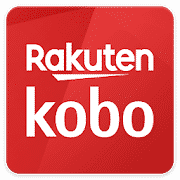 Kobo Books- eBooks & Audiobooks will let you join millions of book lovers around the world. You will get access to a shelf-less and portable world of books where you will have the opportunity to choose from over 5 million titles. It is not only a reading app but also an app which will let you listen to the texts. 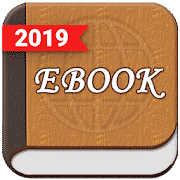 This comfortable and one of the best ebook readers for Android will not disappoint any reader as it contains at least something for every type of readers. It allows you to choose the perfect size and style of text to make your reading comfortable. The night mode will help your eyes to adjust before bedtime. You have the flexibility of customization the way you feel comfortable. Besides reading, you can listen to it by playing the audio. You can set a turn off time to the audio which is necessary before going to bed. The app synchronizes with any device you switch. You can share your reading with social media. It supports English, Spanish, French. Italian, Dutch, German, Portuguese, Brazilian Portuguese and Japanese. 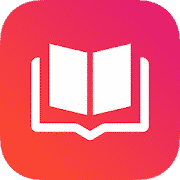 It is one of the best ebook readers for Android which will help you managing and opening all the ebooks on your phone quickly. The app also keeps many free ebook download sites so that you can get your desired books easily. It almost supports all formats of ebooks. It has a lot of options and settings to make it a suitable reader for you. Overall, the app is great as an ebook reader. It has support for Online catalogs (OPDS), LitRes online book store, and Text to Speech (TSS). It allows you to choose day and night profiles. Brightness adjustment is straightforward to make and friendly to the readers’ eyes. There is quick access to recent files and a built-in file browser. It has autodetection of TXT file encoding (GBK, Shift_JIS, BIG5, EUC_KR). Styles can be customized in a wide range using external CSS. Using external CSS, you can widely customize styles of the app. Books from zip archive can be read as well. You will get dictionary support. The app is free from both cost and ads. It provides an optimal setting for reading. There is night mode for reading. The interface is convenient and cute. It synchronizes your setting and content in all android devices you log in. Downloading books is straightforward and quick. 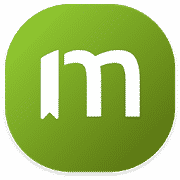 Any-textbook reader is a great app that is designed to read the fiction book which is compatible with Android 1.6+. This reader has a variety of settings to choose and a lot of other arrangements for the readers which made it very cool and comfortable to read. Besides the ability to support many text formats, it also supports Text- To- Speech (TSS). This app is well appreciated by most of the users due to its smooth and user-friendly navigation. It supports almost all the text formats along with ZIP and GZ archives. It supports TTS and OPDS. Russian, English, German, Greek, Ukrainian, Belarusian, Polish, Chinese, Bulgarian and Turkish are the languages as a supported interface. It allows correcting hyphenation for twenty languages. It allows configuring the display by color, font, and many more to make it suitable for the reader. It has an animation for 3D paging. Last reading position is sync to other devices. 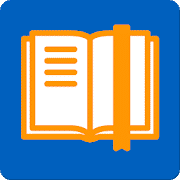 To get a satisfying experience, download and install the app ‘ebook Reader: A Versatile Reader for All Formats’ which is also considered as one of the best ebook readers for Android. This reader supports almost all formats and a perfect solution for the bookworms. Those who are a music lover and a bookworm will be highly satisfied with the app. It is a universal ebook reader with many options and user-friendly settings. It supports PDF, EPUB, EPUB3, MOBI, DJVU, FB2, FB2.ZIP, TXT, RTF, AZW, AZW3, PRC, HTML, CBZ, CBR, XPS, RTF, ODT, MHT and OPDS Catalogs. This app is rich in features and has a very intuitive interface. You have the flexibility for customizing the pages by changing page view, font color, and size, etc. It has multiple reading mode and day night mode for adjusting with the eyes according to time. It has a particular mode for the musicians. It has a status bar which is enough to get information and a reading progress bar. It cuts off the white portion using its intelligence for making it better to read. 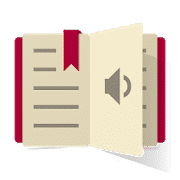 This is one of the best ebook readers for android which is very simple to use and provides a very convenient way to store the book on your device. The app gives a customizable and comfortable reading experience through your mobile. The app allows you to read EPUB and PDF books. Besides learning books, you can publish your writing and let the whole world read your paper. It will take very less time to become your favorite ebook reader. The app allows you to read top rated books without cost. You have the scope to publish your writing and earn money. You have the scope of sharing books using social media links. Intuitive and fast navigation, easy customization makes an outstanding reading experience. It has different options for choosing fonts and colors and has day night mode. Sorting books according to the genre, author or any other category is easy and impressive. A password security system allows you to protect your collections. 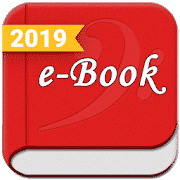 This is one of the best ebook readers for Android which allows you comfortable reading without any cost with or without an internet connection. This PocketBook Reader supports all standard formats. Besides textbooks, it will enable you to listen to the audiobooks and makes itself a super and maximum comfortable reading app for you. It will help you to create your treasure by allowing you to store your findings from reading many books. There are lots of customizations to improve your reading. It is a free app and functional with internet or without internet. It supports PDF, EPUB, DjVu, FB2, FB2.zip, MOBI, DOCX, RTF, TXT, CHM, basic HTML, CBZ, CBR, CBT. It has TTS function to allow you to listen to the books when you are not in a mode to read. The incorporated dictionary will help you in reading different languages books. You will have access to OPDS and Adobe DRM. You can synchronize your settings and readings on any devices. You can maintain a personal database made from your reading. Flexible customization will allow you to make it maximum comfortable for reading. Bookworms always look for best ebook readers for Android for mobile devices. Ebook readers help them find the books quickly and free of cost. These top 10 best ebook readers for android is a good guideline for them to get free books easily and making it comfortable in reading with the best possible ways. I hope these apps will give you comfortable and fruitful reading anywhere you are. Most of them are similar in features, but some additional features are different from each other. Maybe those are the things you had been looking for.